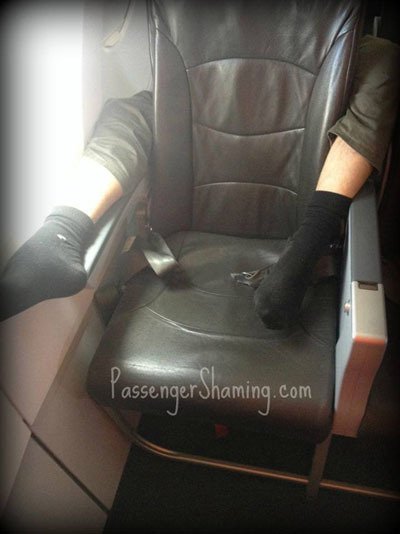 Flying is not fun anymore, mostly because of these worst airplane passengers ever. Seriously. Ever. 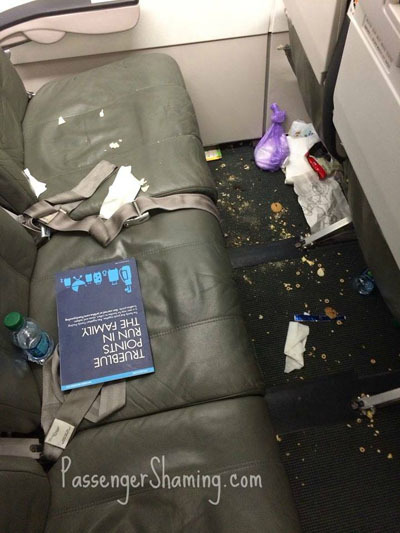 A new Facebook page is letting users send in funny photos of the worst airplane passengers in, and they are pretty amusing. We've compiled a few of our favorites in the gallery above. 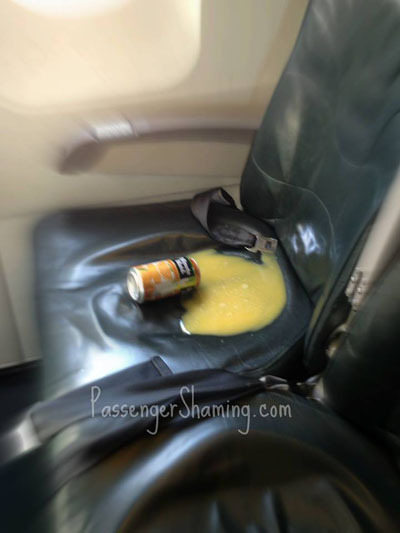 Once you see these pictures you might never want to fly again. 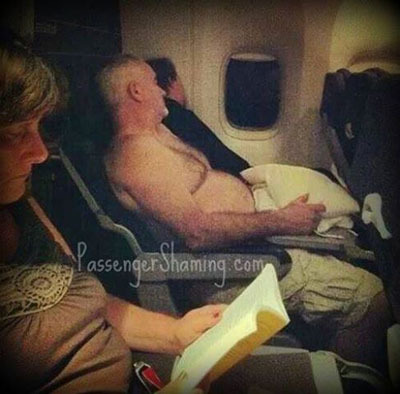 Once you see the photos of the worst airplane passengers ever chances are you'll recognize each of these characters. 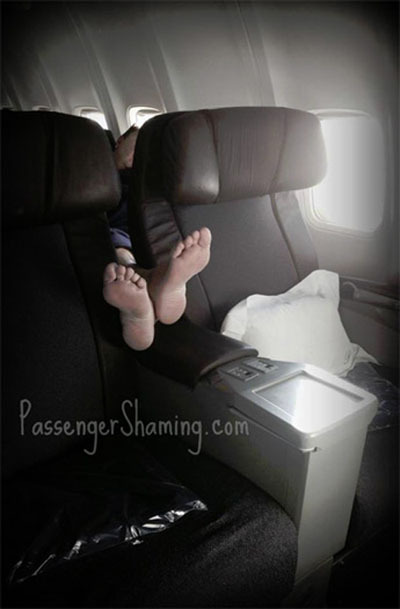 There's the person behind you who thinks it's OK to put their stinky feet in the space between your chair. There's the half-naked man who is clearly more comfortable sleeping practically naked while those around him look around in horror. 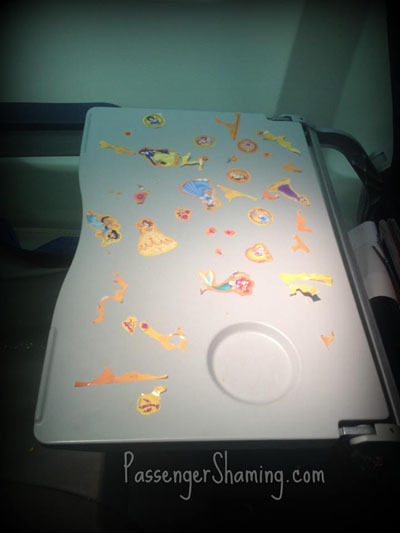 There's the kid who has decided to vomit stickers all over his tray-table. 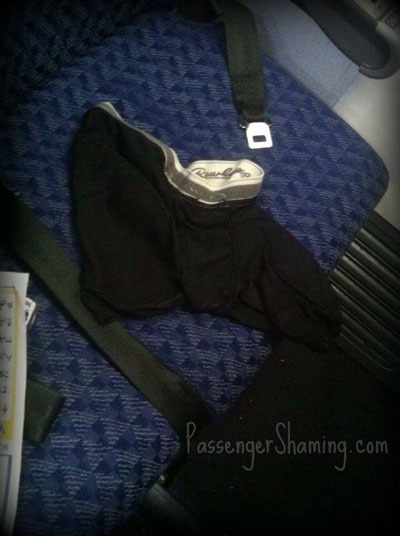 There's the dirty pair of mens' underwear casually left on the seat cushion. (OK. We have to admit...we've never actually seen that one before.) 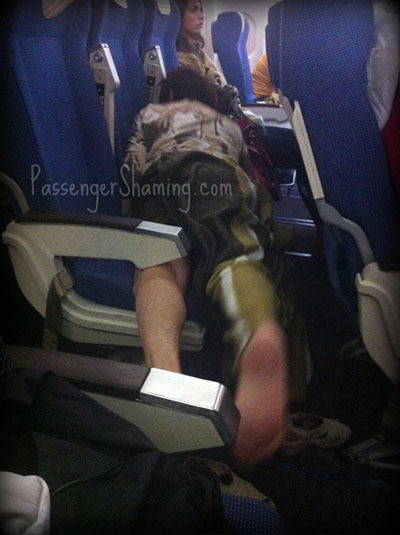 And then there's the person who thinks it's OK to sleep with his hands down his pants spread out across an entire row. Really?! It's no wonder more and more people are getting in arguments on airplanes today. 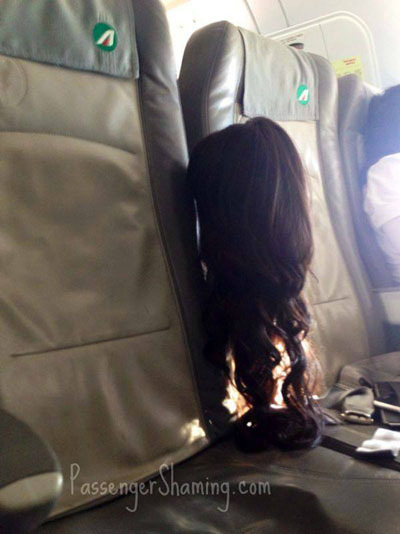 We have to think it might be because of these worst airplane passengers ever!